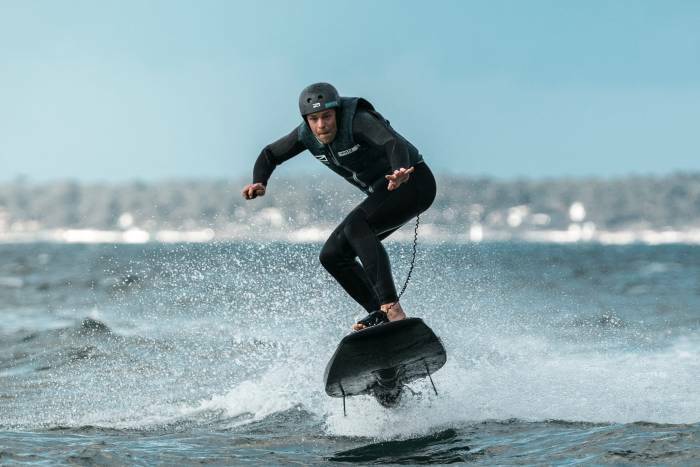 Swedish company Awake recently unveiled the Rävik — a high-powered electric surfboard meant to disrupt the watercraft industry. If you’ve got a need for speed, you’ll want to check this out. Watersports are going the way of the motor. While still a niche product, the electric surfboard is catching on. And Awake’s Rävik might be the one rig to rule them all. This stylish watercraft is the first in a series catering to thrillseekers, capable of thrusting riders from 0-30 miles per hour in under four seconds! This machine is the result of 18 months of development, testing, and perfecting. Awake designed the Rävik to get your adrenaline pumping. While traditional surfing is loads of fun, it requires waves for real excitement. To ride the Rävik, however, just add water. The key component is the patent-pending Awake Direct drivetrain. A brushless 11-kilowatt motor provides heavy torque and carries riders along at speeds up to 35 miles per hour. Though, it’s not quite the fastest electric surfboard we’ve seen; the Lampuga Boost claims its top speed is 38 miles per hour. At 77 pounds, this full-carbon longboard is lightweight for its class and according to Awake, durable enough to withstand hard impacts. Its “hydrodynamic” body aims to smoothly cut through ocean chop or glide across a glassy lake. Plus, while most electric watercraft – including jet skis and sports boats – require the addition of internal coolant, the water itself cools Rävik’s vital electrical components. They’re protected by the composite hull and watertight seals. The exchangeable battery pack features lithium-ion cells that provide for 40 minutes of ride time on a single charge. While that’s not as long as many hours-long surf sessions, there’s no waiting for waves to come your way. And if you want to keep riding, the Awake allows riders to swap out the pack. The brand reports an 80-minute charge time for its battery packs. As for safety, the Rävik has two sensors to help mitigate any accidents. One monitors temperature while another triggers an automatic system shutdown if the board is flipped over, reducing risks to both the rider and the board. Awake doesn’t outline any kind of weight limit for its electric surfboard, but it’s likely not for everyone. While riding the Rävik may not require the rigors of learning to surf, it seems to require good balance and core strength. As we haven’t tested it ourselves, the jury is out on the learning curve. But once you’ve found the balance, Awake claims the Rävik is easy to ride. A wireless handheld throttle provides speed control. And a 1-inch display lets you view your stats, including the battery level, speed, and other ride details. When it comes to upping the ante in extreme watersports, the Rävik may have hit the mark. But Awake states it’s only the beginning, as it has developed a sustainable system to support future products. While the Rävik looks like a lot of fun, the cost will be a hindrance for the average person. With a retail price of $24,600, it caters to a slim, exclusive market. Maybe a rent-a-Rävik will let the rest of us hang 10 on the electric board. But unless you have the cash right now, you’ll have to settle for drooling over photographs. Awake declares a September delivery for the first Rävik boards. 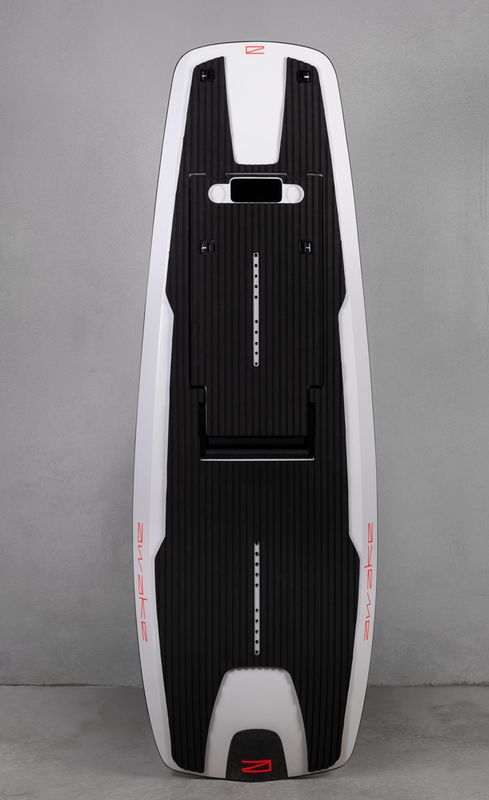 The post This $25K Electric Surfboard Goes 35 MPH Without Waves appeared first on GearJunkie.